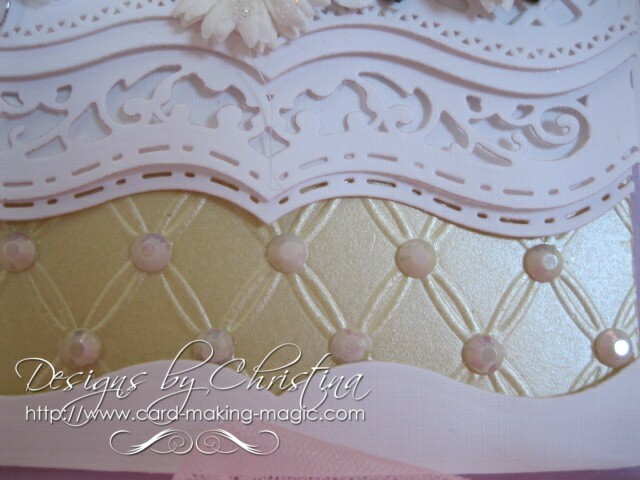 Spellbinders A2 Bracket Borders One can add some really interesting detail to your designs and make them stand out from the crowd. I think it would be very hard to create a card with Spellbinders that didn't look good. The dies do all the work and all you need to do is stand back and take the praise as the recipient will be sure to love what they have just been given. 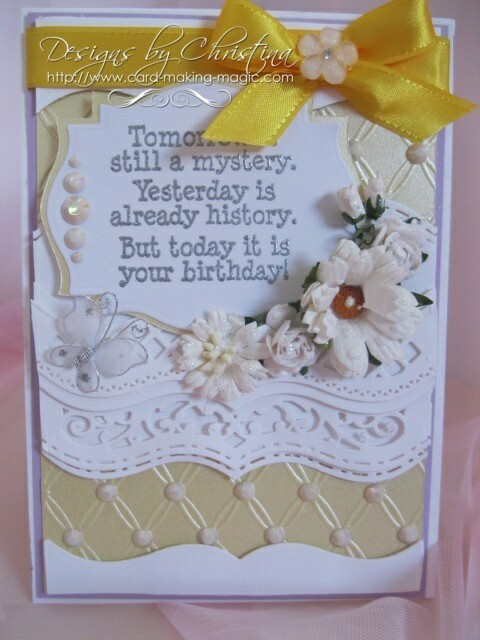 Of course how you decorate the card can elevate it to stunning. 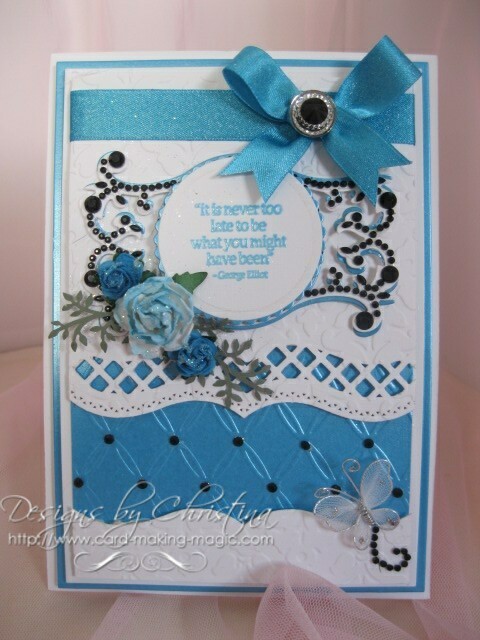 So this Video Tutorial is featuring another of those ever useful borders die sets that can enhance any of your designs. In the borders sets there are usually six or seven dies. Four of them will be cutting edges and the others will be inserts for you to add the fancy pattern that will make it look different. The video will explain to you how you can identify the edges and show you how to position them on your card for a neat cut. The tape that I use to hold the die in pace is re usable for several uses so don't just throw it away. Peel it off your card carefully and use it again. Whatever color you decide to make your card in it will look just as good. By dividing the page into two parts and adding an embossed panel to it can also add more interest to the design. Here I have used a folder called Tied Together and added pearls to all the cross sections. I hope you will give this idea a try and then add your creations to the Gallery Page for all of us to see.